Magpie Bakery is located at the Rose City Food Park (NE 52nd and Sandy Blvd) in Portland, Oregon. 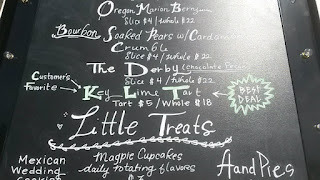 I had seen this cart a couple of times before on visits to the Rose City Food Park, but unfortunately, it was closed each time. Still, I had heard and read many positive reviews, so I figured I'd keep trying. 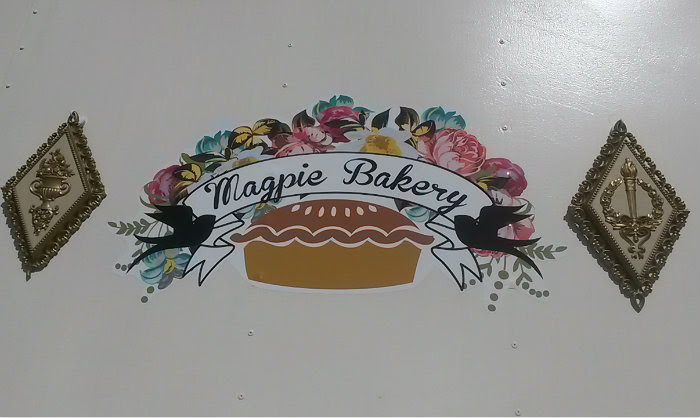 According to their website, Magpie Bakery got a big break in 2012, getting to cater for the stars of Grimm and later, getting to cater for the cast of Portlandia. 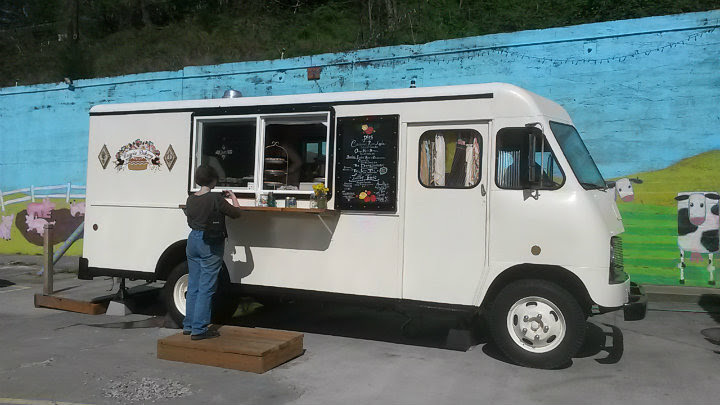 As business grew and word spread, a food cart was the next step. 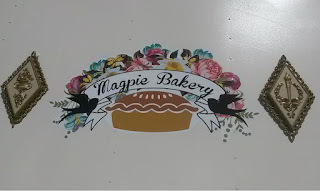 Of course, Magpie still takes catering orders. With the closing of Gulf Bites at Happy Valley Station (Stan is now slinging cheesesteaks), I needed a new place to get Key Lime Pie, one of my favorites. The Key Lime Tart ($5) at Magpie Bakery is by far its bestseller. Stunning in appearance. 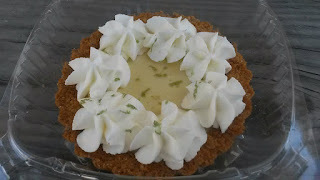 Graham cracker crust and a bit of lime zest on top. 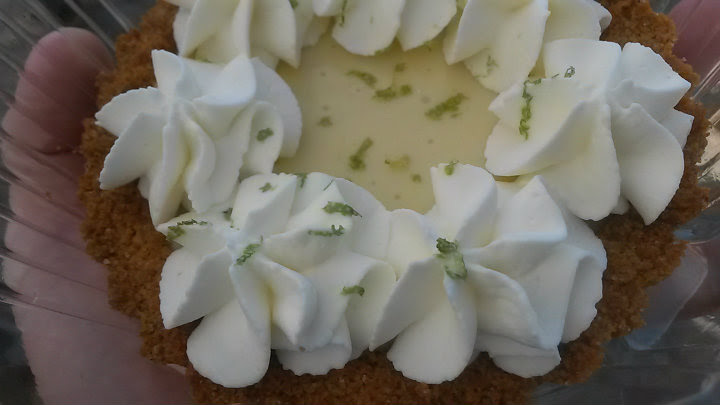 Nice tartness but enough sweetness. 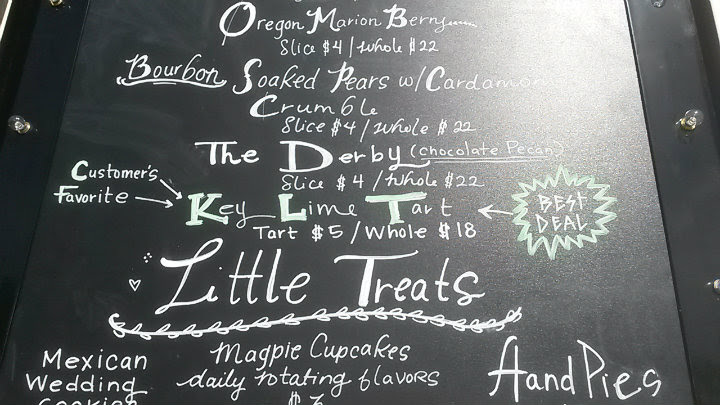 It's simply a delicious dessert. Staying true to form, the panda always eats dessert first. 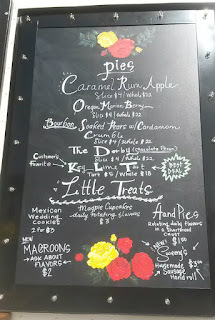 The Mexican Wedding cookies (two for $3) are also excellent. Not many savory items here, but if you're looking for one, Maggie may have a Sweeny's house-made sausage hand roll ($3) for you.